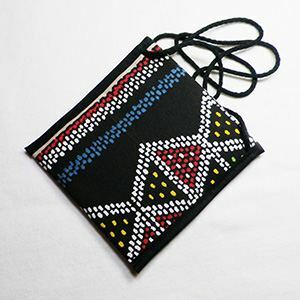 Great neck pouch made of heavy-duty cotton. 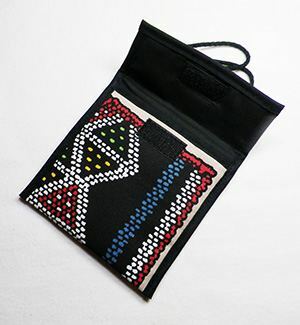 The pouch measures about 13.5 cm x 13.5 cm and is padded. Machine wash 30°C. The cord strap is about 90 cm long. 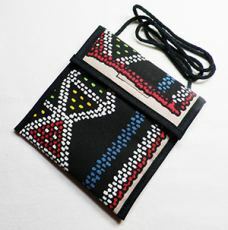 Perfect for keys, ID and cell phone. 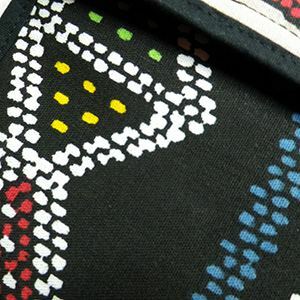 The print is a tribute to the fantastic beadwork created by women of the Zulu tribe. Handmade in South Africa.